Unprecedented Warning of MP Ali Motahari to President Hasan Rohani ! According to news MP Ali Motahari warned president Hasan Rohani on collaboration of some of his Government officials with the elements of the 9th and 10th Government ( the Gov. of Ahmadinejad) . He called these element as " the elements for the strangulation of freedom " . He also warned President Rohani for more tightening the freedom of expressions. 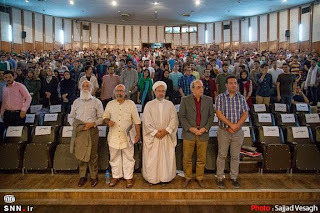 MP Ali Motahari's warning came after he was told that he should not deliver his speech in the city of Karaj by Friday prayer of the city including Sepahe Pasdaran and Governor of the city. MP Ali Motahari in his letter to Rohani warned if these kinds of activities continued ,he would summon the Minister of Interior for impeachment . It is needed to say that; the Minister of Interior of Rohani Government is an element of the radical Jebhe Paydari group ( Like Ahmadinejad ) . 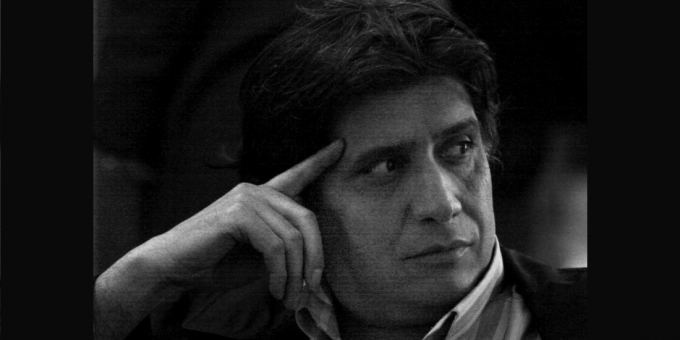 PEN Canada calls on the Government of Iran to drop all charges against writer and film producer Mostafa Azizi and calls for his immediate and unconditional release. 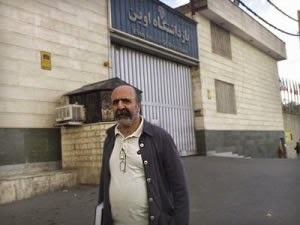 Canadian permanent resident Mostafa Azizi, former chair of the Iran chapter of the International Animated Film Association, was detained by Iranian authorities on February 1, 2015, and is being held in Evin Prison. 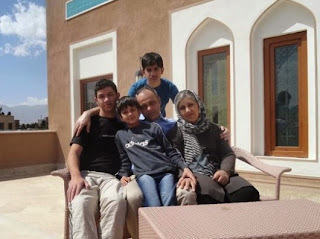 Azizi travelled to Iran in late December 2014 to visit his father who had been ill. 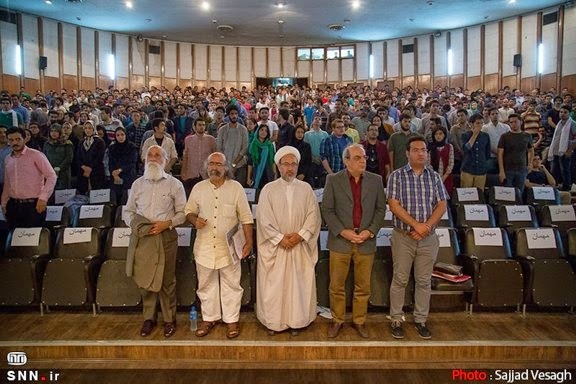 He is facing charges of “insulting Iran’s Supreme Leader”, “insulting the founder of the Islamic Republic of Iran”, “spreading propaganda against the system” and “gathering and colluding against national security”. Though no further details have been offered by Iranian authorities, the charges apparently stem from Azizi peacefully exercising his right to freedom of expression, including posting on Facebook and other social media sites. The first 33 days of Azizi’s detainment was spent in Section 2A of Evin Prison, 14 days of which were in solitary confinement with no access to his family and lawyer. After being interrogated, he was moved to Section 8 of Evin Prison, which houses hundreds of prisoners, including prisoners of conscience. Prisoners in Section 8 are believed to be held in severely overcrowded, poorly ventilated, and filthy cells, which are infested with insects and lack adequate sleeping and sanitation facilities. Azizi suffers from a number of pre-existing health conditions, including asthma, eczema, rheumatism and high blood sugar that are reportedly being aggravated by the conditions in which he is being kept. He was transferred to the prison’s medical clinic for one day on April 13, 2015 after he lost consciousness briefly. After his time in solitary confinement, Azizi has been allowed weekly visits with his family. Mostafa Azizi will stand trial before Branch 15 of the Revolutionary Court in Tehran on June 1, 2015. Six Nobel Laureates have released a statement urging the Iranian government to immediately release woman human rights defender, Narges Mohammadi from detention. The statement appears below. Narges Mohammadi, Deputy Head and spokesperson for the Defenders of Human Rights Centre and a distinguished woman human rights defender, was arrested at her home in Tehran on 5 May 2015. 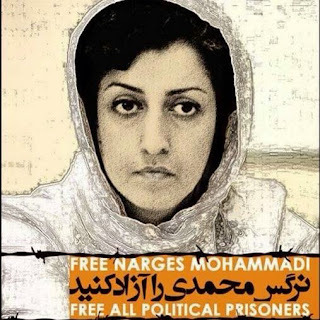 In 2012, Narges’s sentence was reduced to six years from an earlier sentence of 11 years because of her human rights activities. After she suffered a severe medical condition in prison, she was granted medical leave on bail. According to her medical certificate, she has not yet recovered from her illness. During her medical leave, Narges was repeatedly interrogated and harassed and eventually re-arrested and imprisoned with total disregard for her medical condition. stresses that respect and support for the activities of human rights defenders, including women human rights defenders, is essential to the overall enjoyment of human rights, and condemns all human rights violations and abuses committed against persons engaged in promoting and defending human rights and fundamental freedoms. We, the undersigned, strongly condemn the conviction and arrest of Nargess Mohammadi and demand her immediate and unconditional release. Also Jafar Azimzadeh and Jamil Mohamadi have been convicted and sentenced to 6 and 3 years of imprisonment for their labor activities, respectively. The long list of arrests and conviction of labor activists does not end here. The representative of Saveh Profile Workers have also been arrested. These workers were on strike for 4 months of back wages. We, hereby, also declare our solidarity with all the labor struggles around the world in demanding their rights and justice. We also declare that we should be united and act in solidarity as one class against the capitalist violators of our rights. Ministry of Information Calling Iranian Writers One By One For Interrogations ! According to news in recent months the ministry of information has increased its activities against the Association of Iranian Writers and its members by calling the members for interrogations. 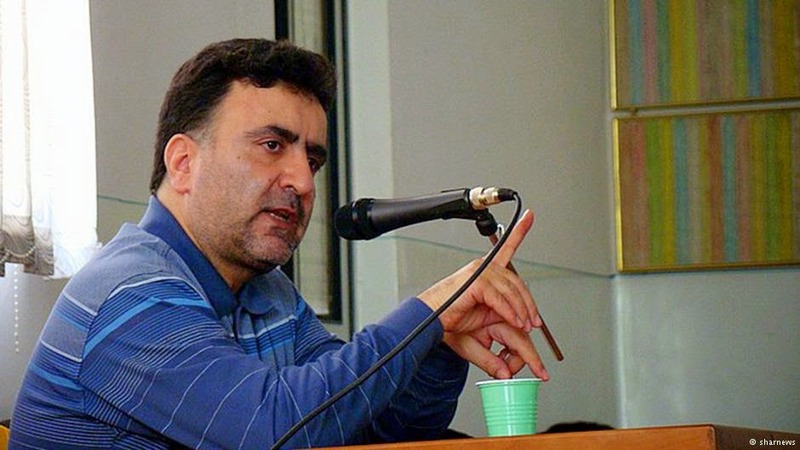 The Association of Iranian Writers in a communique reported that; Mr. Keyvan Bajen a member of the association was called by ministry of information for interrogation. The communique reported that, the ministry of information called Mr. Bajen by phone on Monday and asked him to attend in one of their offices. Another writer who was called by the ministry of information in last month is Bektash Abtin who was four days under interrogation. One of other writer who also was interrogation this month is Reza Khandan Mahabadi who spent three days interrogation by ministry agents . The Association or Iranian Writers strongly condemned these activities of the Ministry of Information and called it a kind of increasing pressure against freedom of expressions and violation of human rights. After 6 Years They Are Still Under House Arrest ! Mir Hossein Musavi and his wife Zahra Rahnavard and Mehdi Karoubi after six years since the 2009 presidential coup , are still under house arrest ! Mir Hossein Musavi and Karoubi were the 2009 Iranian presidential candidate and the leaders of Green movement supported by reformists . When Hassan Rohani was the candidate for presidential election two years ago, one of his slogan and promise was to remove the house arrest of these presidential candidates. Up until now nothing has changed and according to Fatemeh Karoubi ( wife of Mehdi Karoubi ) the situation of house arrest compare with time of Ahmadinejad ( the coup elected president) did not change. Ministry of information of Hasan Rohani is continuing supervising the house arrest . Recently Both Mehdi karoubi and Zahra Rahnavard needed eye operation which was done under ministry of information supervision. On The Anniversary of " Dovome Khordad " ( The Event That Brought Reformist Government Of Khatami to Power) , Student In Tehran University Again Chanted " Ya Hosein , Mir Hosein " ! 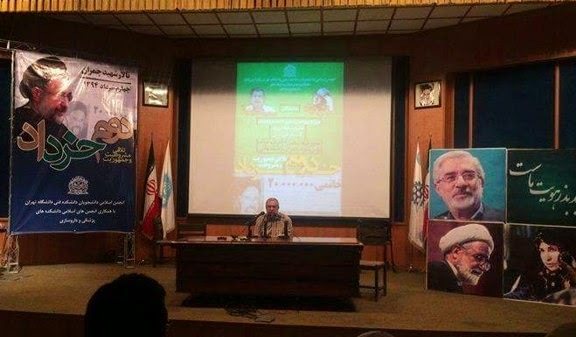 Yesterday was the anniversary of " Dovome Khordad " ( The Event That Brought Reformist Government Of Khatami to Power) , on this occasion students together with well know recently released from prison journalists including Keyvan Samimi and Isa Saharkheiz gathered at Tehran University to celebrate the event. In this event several well known reformists personalities and journalist including Hamid Reza Jalaeipour , Abbas Abdi , Saeed Hajarian and Kambiz Norouzi spoke about media freedom and socio-political situation. Student in this event chanted about the three leaders of the green movement who are under house arrest for six years now. 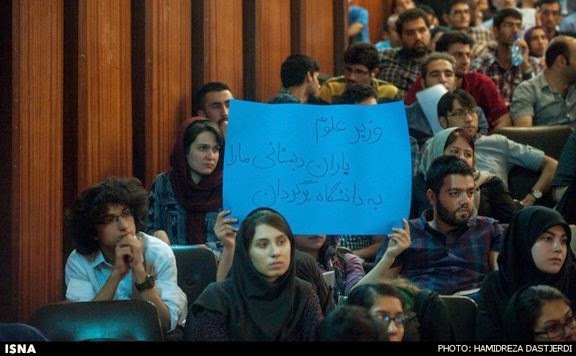 They displayed the pictures of reformist and green movement leaders and chanted against Ahmadinejad. 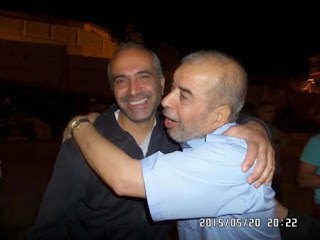 Today After 22 days imprisonment Dawood Razavi and Ebrahim Madadi two members of Tehran Bus Drivers Union are released from prison with a bail of 100 million Tuman .. The Union still demanding for the release of other illegally imprisoned workers. In Recent Two Months 18 Iranian Who Have Newly Become Christians Were Sentenced to Prison ! In speaking to Radio Farda an official of the " Article 18 Committee " which is about the Councils of Iranian Churches reported on the prison sentences for 18 newly converted Iranian Christians. Father Pirouz Farbod Said ; despite of promises by president Rohani still Farsi speaking churches are being closed and illegal arrest against active christian are being implemented . 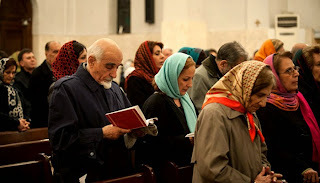 According to a report by " Article 18 committee " at present there are more than 93 Iranian christian in prison because of their faith and churches activities . 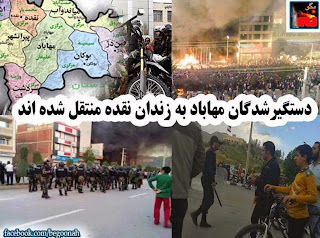 The "Article 18 committee " said ,the latest incident was of the sentencing of one year imprisonment and two years ban from exiting the country for 13 new christian from the city of Isfahan. Islamic Regime Is Going to Send Ahmad Zaidabadi The Political prisoner After Six Years Imprisonment To Internal Exile ! According to Saham News , Ms. Mahdieh Mohammadi wife of Ahmad Zaidabadi in her Facebook wrote that, her husband will go to internal exile direct from prison . The Imprisoned Journalist Ahmad Zaidabadi have finished his six years prison sentence but face yet another harsh sentence and that is to go into the internal exile in the city of Gonabad. 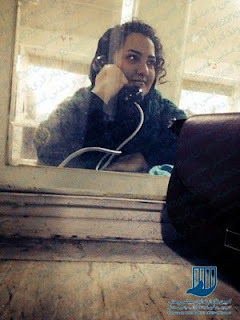 Ms. Mahdieh Mohammadi in her Facebook wrote: " I feel that we are so much oppressed " . Ahmad Zaidabadi a reformist journalist was arrested by security forces together with hundreds of other activists and journalists after presidential election coup in 2009 and spent 141 days in solitary confinement in cell number 240 of Evin prison . He was later sentenced to six years imprisonment and five years internal exile to the city of Gonabad and is banned from social and political activities in all his life time. Narge Mohammadi Vice President Of Human Rights Defenders Organization in Iran Is In Prison And Her Health Condition Worsening ! 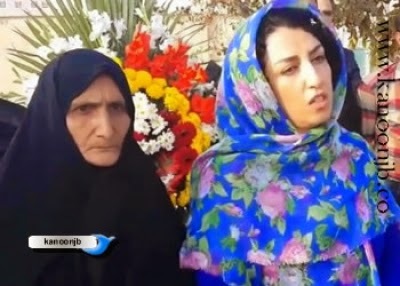 According to Taghi Rahmani Ms. Narges Mohammadi's husband , the last time the kids have visited their mother she told them that; she is not allowed by prison officials to take her medications. Although she brought her medication to prison with her after arrest , but the medication were taken away from her by prison officials and she has threatened that; she would go on hunger strike if her medication is not given back to her. Ms. Narges Mohammadi is the vice president of the Human Rights Defenders Organization in Iran . Because of not taking her medication ,her health condition is worsening. The Court Date For Jason Rezaeian The Washington Post Journalist And Two Other Will Begin On May 25th ! According to Tasnim News Agency The court of Jason Rezaeian's and two others will begin in branch number 15 under judge Salavati . Mr. Rezaeian's lawyer; Leyla Ahsan said, the reading of the case file material's has finished and just waiting a date from the court . Prosecutor has charged Mr. Rezaeian with espionage . Mostafa Tajzadeh Was About To be Released After Finishing His Six Years Sentences , But He Must Spend One More Year Because Of Continuing Writing Letter From Prison ! According to news Mostafa Tajzadeh A religious reformist and a Government official with critical political views Was about to be released on Today Monday ,after spending six years in prison. He was arrested after the presidential coup in 2009 . But must spend one more year because; while he was in prison ,he was writing letters from prison . IRAN WATCH CANADA : So , One year prison just for writing letter from prison. 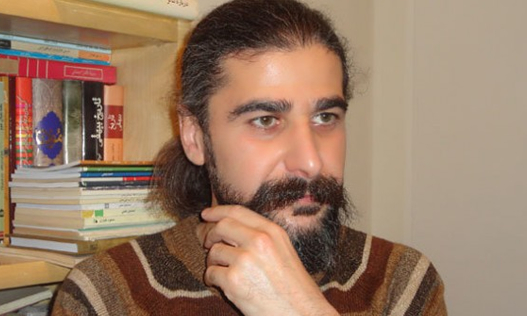 Keyvan Samimi An Iranian Political Prisoner is Released After Six Years imprisonment From Rejaei Shahr Prison ! Before my arrest ( Before the uprising of presidential coup in 2009 ) i had a responsibility to do and now after the release, i have a new responsibility . I will do respect the constitution and at the same time i will continue my activities on morality and human rights . He added , 49 years ago when i was just 18 years old i also went to prison during the Shah 's regime . Because of systematic violation of human rights then and now , i want to continue my activities in this direction. 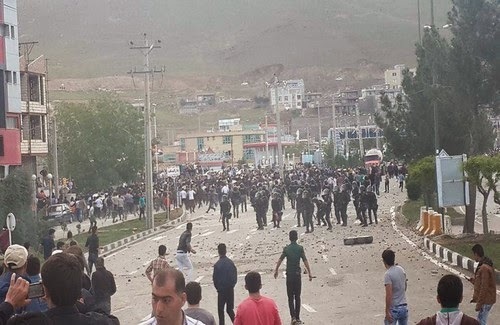 According to several sources more than 150 protesters from Mahabad city are arrested and transferred to Naghadeh prison . Some of these protesters are wounded and perhaps under interrogation and torture .......and some of them are released . These people were arrested when they were among protesters , protesting against the suspicious death of a young women ( Farinaz Khosravani ) in Hotel in Mahabad city . 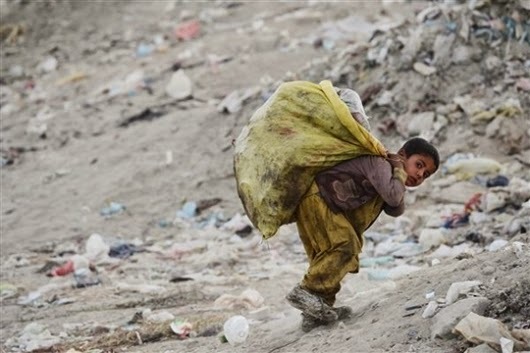 So , Islamic regime , a young girl who works in defense of child labor and 7 years imprisonment for what she does. ??????????!!!!!!! Does any regime officials including president Rohani care about Atena Daemi who work voluntarily for a better life for Iranian kids but must spent 7 years of her young life in prison??????!!!!!!! GENEVA (8 May 2015) – The United Nations Special Rapporteurs on the situation of human rights in Iran, Ahmed Shaheed, and on extrajudicial executions, Christof Heyns, today condemned the sharp increase in executions in recent weeks in the Islamic Republic of Iran. In many instances, executions have gone unreported by official sources, and the names of prisoners have not been published. “When the Iranian government refuses to even acknowledge the full extent of executions which have occurred, it shows a callous disregard for both human dignity and international human rights law,” Mr. Shaheed stressed. Between the 9 and 26 of April, as many as 98 prisoners are reported to have been executed, an average of over six per day. The latest wave brings the total number of executions since 1 January 2015 to more than 340, including at least six political prisoners and seven women. “We are alarmed by the recent surge in the number of executions, which has occurred despite serious questions about fair trial standards,” Mr. Heyns noted. “Many of the prisoners executed during this period were charged with drug-related offences, which do not involve intentional killing and hence do not meet the threshold of the ‘most serious crimes’. The independent experts drew special attention to continued reports of executions taking place in public, with 15 such executions known to have occurred already in 2015. “Executions staged in public have a dehumanising effect on both the victim and those who witness the execution, reinforcing the already cruel, inhuman and degrading nature of the death penalty,” they said. The Special Rapporteurs jointly urged the Iranian Government to heed to the growing appeal by the UN human rights system to halt all executions and to establish a moratorium on the death penalty, with a view to abolishing the practice altogether. According to news coming from Iran , on last thursday Ms Parinaz Khosravani an employee of Tara Hotel in the city of Mahabad in Kurdistan -Iran jumped to his death while in the fourth floor of the hotel , and her mom believes that she committed suicide because she was about to be sexually assaulted by an agent of the ministry of Information with the collaboration of Hotel owner. 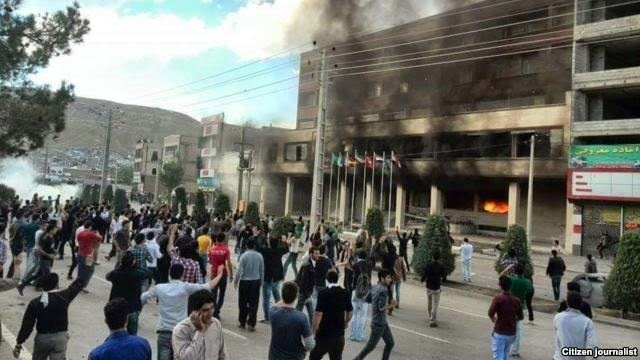 This brought anger among people of the city of Mahabad in Kurdistan province . 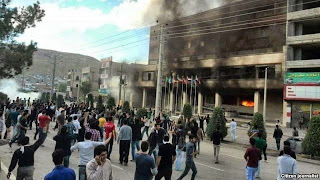 The people gathered in front of the hotel and chanted slogans against local officials as well as the regime , they burned the hotel and there were clashes between the regime forces and the people . The riot forces fired tear gas and shot hunting weapon , as a result several people were wounded and many arrested and detained . The people demanded justice for her death. In a hasty move the Governor hold a press conference and said that the accused is arrested and has no relation with the security agency and he wont be released because of heavy bail . But people know these officials and their tactics to buy time . Ms. Shirin Ebadi president of the "Human rights Defenders Centers in Iran " and noble peace Prize Winner in a letter to Doctor Ahmed Shaheed the UN reporters for human rights in Iran asked him to do everything he can to free Ms. Narges Mohammadi the vice president of the ' Human Rights Defenders Center in Iran " from prison because she is suffering from health conditions. Ms. Narges Mohammadi was arrested on last Tuesday by as many as 10 security forces of the regime at her home and took her via a car to Evin prison. IRAN WATCH CANADA: Where is Mr. President Rohani ?!!!?? Neda Mostaghimi A Supporter of " Mothers Of Parke Laleh" is Arrested ! "Mothers of Parke Laleh" are those mothers who's sons or daughters were killed or disappeared during the uprising of 2009 presidential coup in Iran. This organization was established after the uprising. Mother of those political prisoners also killed or murdered in prison during the mass killing of political prisoners in 1988 are also sympathizing with "Mothers of Parke Laleh". Ms. Neda Mostaghimi was picked up by security forces of the regime on Monday last week at her work place , she is to spend three years prison sentence for her support and sympathy to " Mothers of Parke Laleh " . She is charged with breaching the "national security "???!!! and " Association and conspiracy " ???!!! All because she attended at Beheste Zahra Cemetery for those killed by regime including Amir Arshad Tajmir the host of Radio and TV who was killed and buried in Beheste Zahra . No one knows where the security forces took her and Ms. Mostaghimi did not make any call on her whereabout . According to the information obtained by Reporters Without Borders, Mohammadi was arrested by intelligence ministry officials yesterday after receiving several threats and summonses, and was taken to Tehran’s Evin prison to resume serving a six-year jail term. 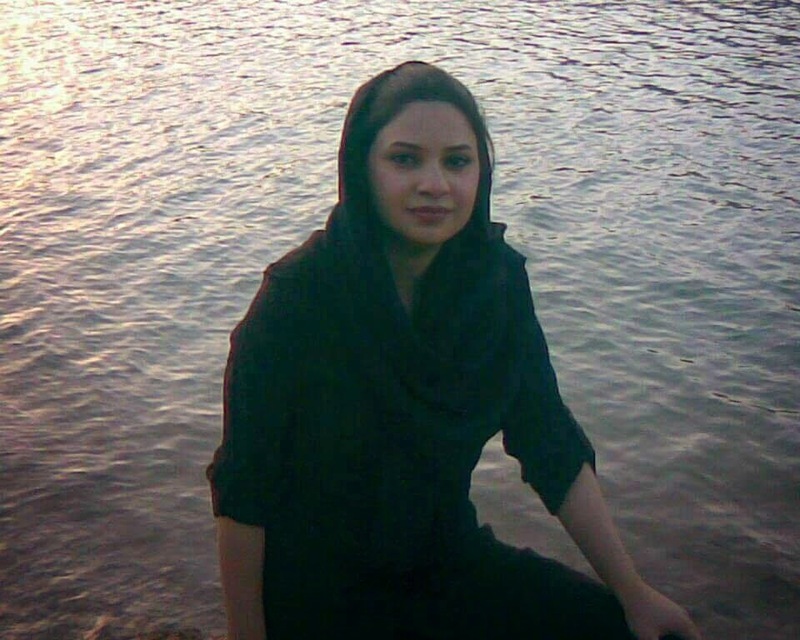 She was summoned for questioning at the prosecutor’s office inside Evin prison on 1 June 2014 and, at the end of her interrogation, was told that she was banned from travelling abroad. Mohammadi’s arrest was quickly condemned both in Iran and abroad. Her fellow campaigners, including Beheshti’s mother, the well-known academic Mohammad Nourizad and Mohammad Malkion, staged a sit-in outside Evin prison. 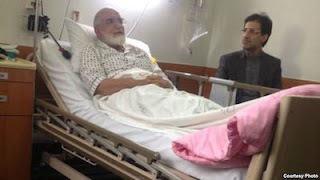 Shirin Ebadi, who is the president of the Centre for Human Rights Defenders, immediately wrote an open letter to several UN special rapporteurs including Ahmed Shaheed, the special rapporteur for the human rights situation in Iran, urging them to do everything possible to obtain Mohammadi’s release. 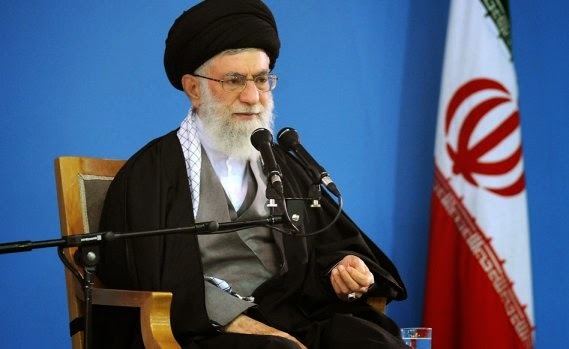 As head of the Revolutionary Guards (1978-1980), president (1981-1989) and finally Supreme Leaders since June 1989, you are guilty of arbitrary arrests, illegal imprisonment and torture. You are responsible for the disappearance of at least 100 intellectuals, journalists and netizens from 1979 until now. You participated in the executions of the journalists Ali Asgar Amirani, Simon Farzami, Nasrollah Arman, Said Soltanpour and Rahman Hatefi-Monfared. 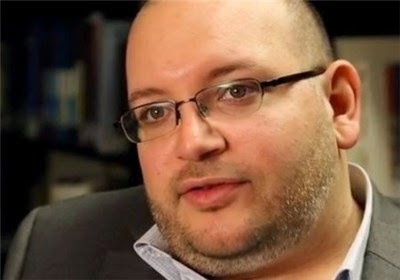 You instigated the murders of many other dissident journalists such as Ebrahim Zalzadeh, Majid Charif, Mohamad Mokhtari, Mohamad Jafar Pouyandeh and Pirouz Davani. You covered up the atrocities that intelligence ministry officials committed in November and December 1998. The deaths in detention of Zahra Kazemi (2003), Ayfer Serce (2006), young blogger Omidreza Mirsayafi (2009) and Sattar Beheshti (2012) are all directly attributable to you. You have fostered arbitrary rule and impunity. 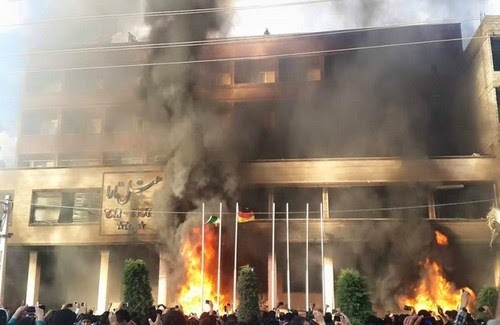 None of the perpetrators of the preceding abuses – including key judicial system ministers and officials close to you (Mohamad Raishahri, Mostafa Pourmohamadi, Golamhossien Mohsseni Ejehi, Ghorbanali Dorri-Najafabadi and Said Mortazavi) – have ever been brought to justice. Worse still, they have been appointed or promoted to senior posts with your approval. Again, it was you who, on 20 April 2000, gave the order for a crackdown on the reformist press that had emerged in the wake of Mohammad Khatami’s election as president in 1997. Since then, more than 300 news media have been designated as “foreign enemies inside the country” and closed, thousands of pages have been censored and more than 500 journalists and netizens have been arbitrarily arrested, tortured and given very harsh sentences, while many others have had to flee the country. The crackdown is now targeting new media and satellite TV stations that broadcast to Iran from abroad. Your country is currently one of the world’s biggest prisons for news providers. You are also the inventor of a “Halal” (national) Internet and promoter of a “digital apartheid,” which your regulatory bodies are imposing on the Iranian people. Islamic Regime Arrested Several Labor Activists on or Before May Day ! According to news coming from Iran , regime denied labor's request to hold a rally on May Day. Instead the security forces enforced more pressure on labor organization by arresting and detaining labor activists and labor rights advocates. Mahmoud Salehi , Osmasn Esmaili and Reza Amjadi labor activists from Kurdistan . And Ebrahim Madadi and Dawood Razavi from Tehran Bus Drivers Union . 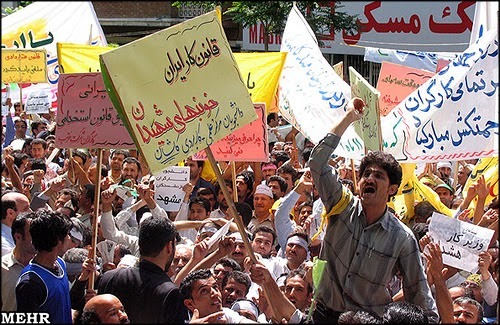 Labor protests in Iran are increasing due to low wage , delay in payment , bad living condition , labor rights to hold protest , privatization , imprisonment and many other issues .